What factors made you choose Willow Dental Group? My daughter and wife have both been patients of Dr. Shawn Anderson for a long time and have both had great success, so I decided to come too. What do you like most about Willow Dental Group? Well, Dentistry is one of those industries in which you get what you pay for. At Willow Dental Group, the service is unbelievable. You can really tell that they care about their patients. What do you like most about your new smile? It takes more muscles to frown than to smile and I love being able to smile now. It just feels so much for natural and I feel better about myself. I feel like my optimistic approach to life is now visible to others through my ever-present smile. Are there things that you do now (with your new smile) that you didn't do before? I smile with my mouth open rather than the unnatural tight-lipped smile that I used to have before. 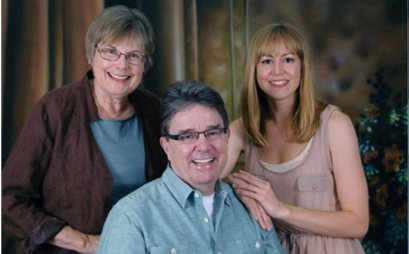 My family and I actually did a new family portrait. I feel so healthy now, and that is how I want my kids to remember me. How has your life changed since your smile transformation? For me, my smile transformation was not solely cosmetic, it was a health issue; subsequently, I have become much more proactive in all aspects of my health. I feel so much healthier now and my general outlook on myself has improved. Is there anything else you'd like to include that I haven't yet asked about? I would recommend Dr. Anderson to anyone. Without healthy teeth, you can't fully enjoy life. I often say that if I had to choose between a new corvette and my teeth, I'd pick teeth! I was referred by a friend to WDG, and the whole thing was synchronized by God. Growing up, I was terrified of the dentist. 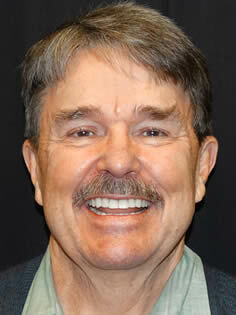 God knew it would take an exceptional professional, like Dr. Anderson, for me to feel comfortable at the dentist. EVERYTHING! The ease you feel when you come in and how important WDG makes you feel. They way that it is important to them that you are there, you're not just another face. Again, EVERYTHING. I love how white, straight, and perfect my teeth are. I never thought that I could have teeth like this, and I am in such gratitude to WDG. I smiled before, but now I smile with my teeth showing. A big happy smile from my heart because I am no longer embarrassed or self-conscious of my smile. My life had changed in so many ways, as now I exude confidence everywhere I go. Yes, I'd like to add what an amazing dentist Dr. Anderson is. I'm not just another patient to him, I'm an individual. Dr. Anderson makes you feel so safe and confident in him. It is so apparent that God is present at Willow Dental Group. I'd had porcelain veneers on my two front teeth for over 15 years and realized that they had surpassed their expected lifespan and could chip or break at any time. Since my dentist was retiring soon, I needed to find someone who was qualified and experienced. 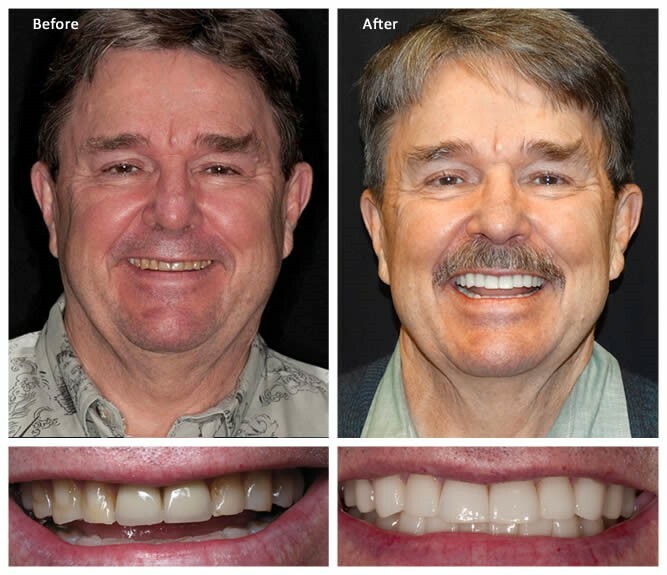 When I asked around about which dental professional was an expert in veneers, Dr. Shawn Anderson's name was repeatedly at the top of the list. After my initial consultation where I explained my goals, Dr. Anderson analyzed my oral health and explained his treatment objectives in a clear, concise and personable manner. To my delight, I discovered that he also had an artistic approach to dentistry. He talked about working with a trusted dental lab where he insisted on top-quality fabrication and craftsmanship. Dr. Anderson was sincere and professional. I never doubted his integrity. 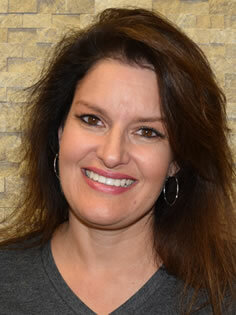 Additionally, the staff at Willow Dental Group offered a warm and friendly environment with a great teamwork approach. Their sense of "family" equated to trust and respect. 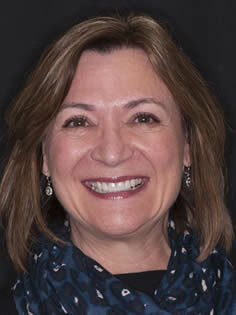 It was evident that Willow Dental Group was the right choice. 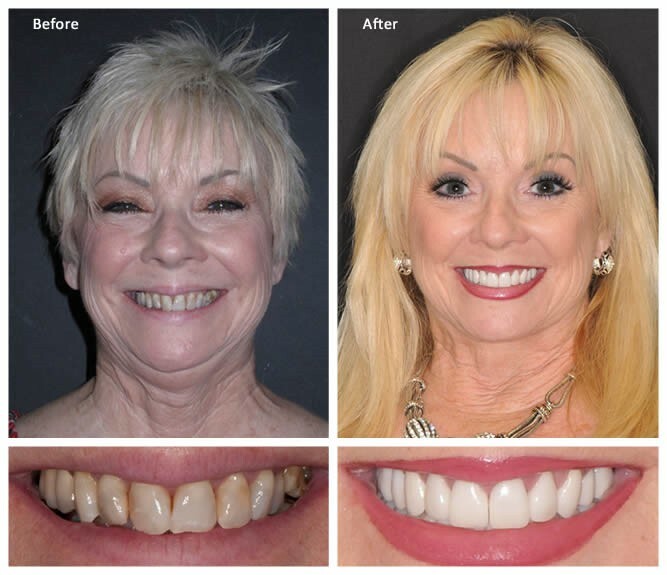 I felt confident in entrusting them with my porcelain veneer replacements, dental implants and full dental care. Willow Dental Group is clearly the whole package! But since you asked, I'd say the single most important thing about Willow Dental Group is their insistence on patient satisfaction. What do you like most about your new smile and how has it changed your life? 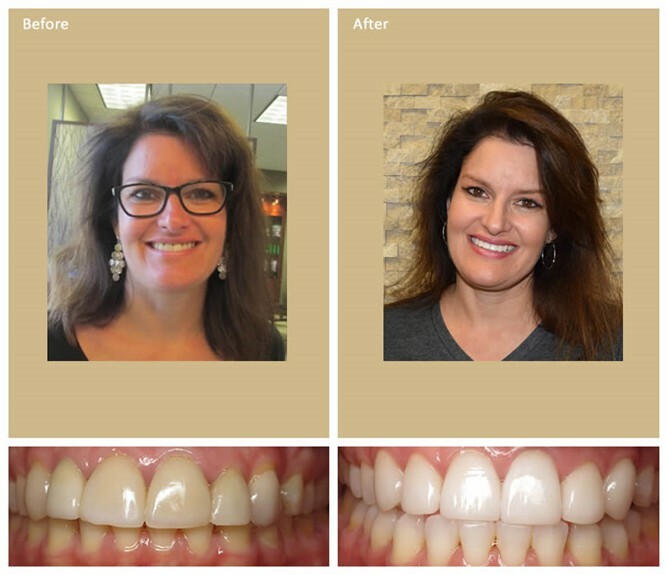 The quality of my repaired teeth and the naturalness of my replaced veneers have boosted my confidence and self-esteem. My smile is whiter, brighter and well proportioned. I couldn't be happier! Originally I chose them because of location, based on reviews and how current their technology is. What I like most about Willow Dental is the people. This is not just a business, this is a family. The atmosphere is comfortable and caring. It's not cold and detached like most dental/doctor's offices. From the second you walk in the door, you are greeted with smiles, warmth, bright colors, and Starbucks!!!!! What's not to love? Yet through every step of the way, you are treated with care and respect as if you were part of their family. It's just different and I have never seen or felt anything like it anywhere else. 3. What do you like most about your new smile? What I like most about my new smile is I cannot stop using it. I am so proud of my smile now that I smile all the time. Its' color is realistic, the shapes of my teeth fit my mouth and compliment my face and they took a lot of time to make sure that happens. Who does that? It didn't matter how long it took, they worked until they (and I) felt my smile was perfect. I have always smiled with my mouth closed in the past unless I had to show a big grin. 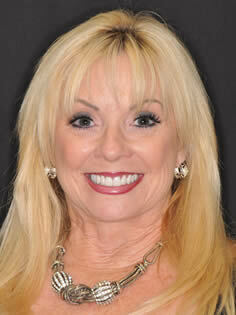 I was not confident in my smile even though I had worked with other dental practices in the past. Now I smile all the time. 4. How has your life changed since your smile transformation? A: My life has changed in several ways because of my smile. I am happier. I like to smile now, and the more I smile, the happier I feel. I walk around other people and I smile at complete strangers and say hello. I never could do that before. This has helped my business as well because I have to be confident enough to talk to strangers. I just feel better about how I look. Nobody is perfect, but with my new smile, I am one giant leap closer to perfection in my own eyes and I am my toughest critic. Even my daughter comments all the time on how fun and happy I am because I laugh and smile all the time. Happier home, happier at work and happier on the inside. It doesn't get any better..
5. Is there anything else you'd like to include that I haven't yet asked about? A: There are plenty of good dental offices in the Valley, so how do you choose? I cannot be happier with Willow Dental. I take all my family there now because I trust them. They treat me like I am family and that means a lot. I am not a patient. I am much more than that and I feel that way because of how well I have been treated. Being taken care of like family makes all the difference in the world. They are extremely professional, up on all the latest technologies, great with kids, people who are scared of that big chair, and everyone in between. I am a Willow Dental patient for life. 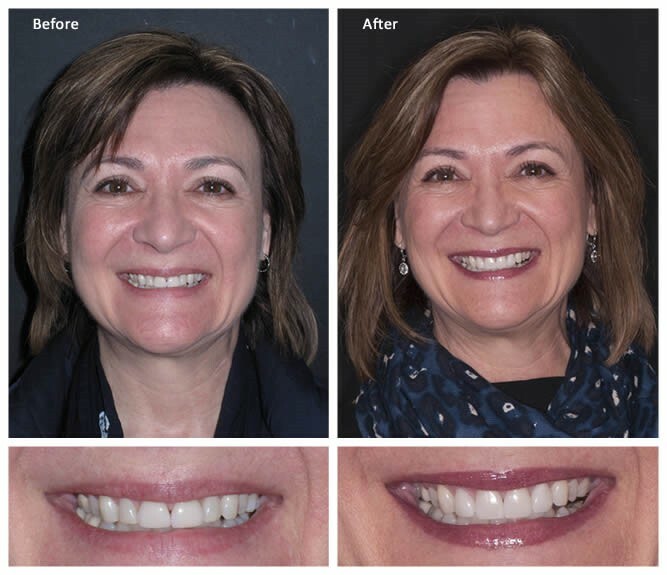 You will never regret allowing Willow Dental to take care of your smile forever.